I quite enjoyed SR1, if only the tutorial (in which I must have spent 6 hours or more), but that was on windows and a while ago. I bought SR2 as well a few months back, but didn't get around to play with it. It seemed quite a recent (and decent) game to me, even if reviews seem to deem it unbalanced. So I am quite surprised with this move. I can't wait to see what the community will do with it! I wish well to the developers as well. Edit: what I mean with rude is anything that would offend the developer, and would put off other developers that might otherwise be tempted to do the same. Anyway, the devil is out of the box... Would it be considered rude to put it up on FlatHub? Hi all. One of the original Star Ruler 2 devs here. denyasis Question: if they are "not active", who gets the money from a steam or GOG purchase? The SR2 dev team all moved on to different jobs after the game was completed a few years ago (some of us in the game industry, some of us outside of it). We didn't use a publisher for SR2 though, so you would still be supporting us directly by purchasing the game on steam or GOG. Personally I've always been a big fan of pay-what-you-want models, although sadly the idea hasn't really caught on as much as I'd hoped. 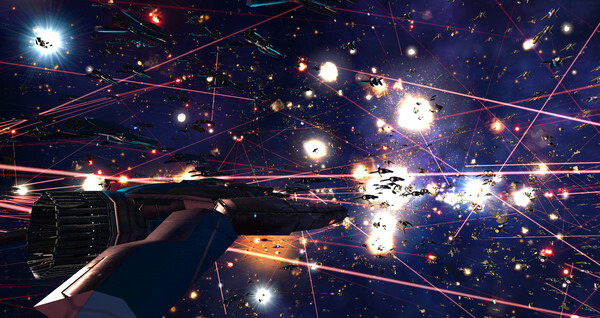 To me opening up the Star Ruler 2 source just makes it something like a pay-if-you-want game. We absolutely chose the licenses for the code and assets deliberately to allow people to freely distribute the game or any modified versions of it non-commercially. I wouldn't consider it rude at all to put it on FlatHub or any other package manager that allows for non-commercial licenses. MayeulC Would it be considered rude to put it up on FlatHub? I think there is a snap being brewed. I can't see why there couldn't be a flatpak too. As above, some may try then buy to support the dev. Great, thank you very much for providing this as open source. I'm happy to pay for this game to show my support, this behavior should be encouraged. Like many of you, I just bought the game on GOG (with partner link, but I forgot to use it with Turok...). Big up to the devs! Personally I've always been a big fan of pay-what-you-want models, although sadly the idea hasn't really caught on as much as I'd hoped. Heh, probably too late for this (and would require extra work for you), but itch.io has this option. If I understand correctly, another upside of selling there is that they also take a lower cut of the sales. Honestly, while I can accept assets, artwork, and - especially - trademarks being proprietary and “protected”, over the years I've come to believe that code should be open source. Even those restrictive licences where “trusted” outsiders can see the code but not copy or modify it are (slightly) better than nothing at all. But it must always be the developers' choice. So now that you're here, GGLucas, thanks again. GGLucas Hi all. One of the original Star Ruler 2 devs here. Thanks for replying. I've added the game to my wishlist for my next purchase. The game Built for me just fine. I saw the post in the Steam forums about where you and the other Dev's are. I want to wish you all best of luck in your endeavors.